Protect the value of your investment. Accidents happen, but our BMW Certified Collision Repair Center can help you restore the value of your vehicle when one occurs. When the body of your BMW passenger car of light truck is repaired, it is imperative that the repairs are done properly. 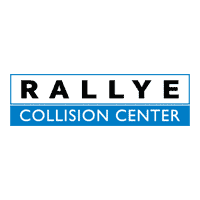 With the Rallye Collision Center, you can be sure that your vehicle will be restored to factory repair specifications in a timely manner. Our Factory Trained and Certified BMW technicians only use original BMW parts, guaranteeing a perfect fit and the quality you expect. When an accident happens, safety is the number one priority. After that, making sure that your BMW is repaired the right way can save you time and money down the road. Why Choose a BMW Certified Collision Repair Center? Quality: All BMW Certified Collision Repair Centers are authorized by BMW Financial Services to perform repairs to your leased or financed vehicle. BMW-certified technicians must employ factory-approved procedures and original BMW parts to repair your vehicle to factory specifications. Confidence: All work performed by our BMW Certified Collision Repair Center is guaranteed for as long as you own or lease your vehicle. Value: If you choose an unauthorized repair facility, any repairs that do not meet BMW factory repair specifications may result in additional cost.